Douglas Costa will cost £30million Douglas Costa of Shakhtar Donetsk will cost Chelsea 30million pounds if they are willing to sign him. 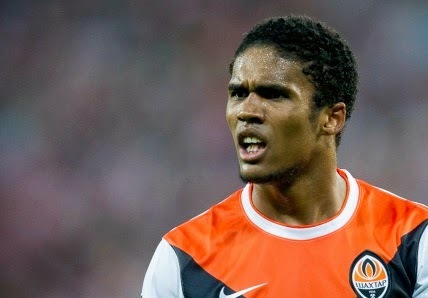 Douglas Costa of Shakhtar Donetsk will cost Chelsea 30million pounds if they are willing to sign him. The 16 million pounds offer for the 24-year old was rejected, lined up as a backup option for Fiorentina winger Juan Cuadrado. But for Douglas Costa, they would have to pay more than 26.8 million pounds which is the amount that would let the Blues sign Cuadrado. Juan though, remains Chelsea’s first option and the talks are continuing between the two clubs, Fiorentina and Chelsea for the winger. Costa has made it clear that he would love to move to Stamford Bridge and reunite with his old team mate Willian. He said yesterday: "It's a dream to play at Chelsea. Its a unique chance. I will try to negotiate." As the winger Mohammad Salah is set to join Roma on loan for six months, Chelsea are ready for a new arrival. The Blues are also getting offers for the World Cup winner Andre Schurrle from Borussia Dortmund and Wolfsburg. Roma will pay 550,000 pounds as an initial loan fee for Salah. They will also receive 11million pounds at the end of the season. Costa was also linked with Arsenal and Manchester United in the past few months.